This means your Father’s Day subject lines need to follow suit. 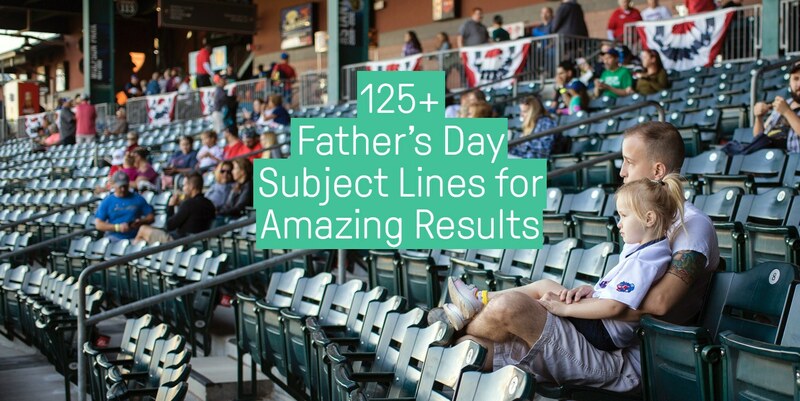 But we know you’re busy, which is why we’re helping you out with the 125 highest performing Father’s Day subject lines. FYI: make sure you’ve got the proper techniques down to create the best email subject lines. Father’s Day is usually related to the idea of giving Dad some great power tools or gadgets he can use to build (or destroy) something. That’s why home & garden and electronic products traditionally did well. But it’s also becoming common that a wide variety of products are very applicable for Father’s Day, such as clothing, grooming, pet-related things (for man’s best friend), and many other products. Generally, it’s a day for mothers, wives, and children to find something to give to the father in their lives. Therefore, since it allows for any interpretation, there’s no reason for you to not take advantage of this special day. That’s why today we’ve dug dig deep through our own customers’ data to see what the highest-performing subject lines are for them. We analyzed more than 10,000 of our bigger brands’ 2017-2018 Father’s Day email campaigns to find out what the best, highest-performing subject lines related to Father’s Day are. Since we’re looking specifically at subject lines, we’re focusing mainly on open rates. After all, that’s the main benefit of having appealing subject lines. 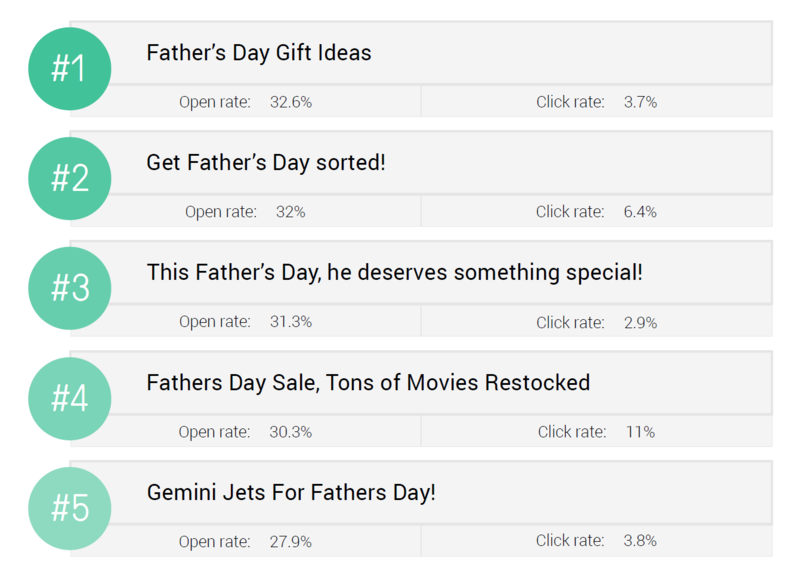 Then, we’re also looking at the click rates for each Father’s Day subject line. You can quickly see the trend here: highlight the fact that you’re helping people find great gifts for the fathers in their lives. It’s interesting to note here that 3/5 Father’s Day email subject lines have an exclamation mark included. The Father’s Day subject line #4 was especially successful: with an 11% click rate, the order number was particularly high. If we imagine a 10,000 subscriber list, that would be 3,003 opens and 1,100 clicks. If even 10% ended up buying something, that would be 110 orders. Imagining a $50 average order value, that’s $5,500 from just one email sent. Now that’s what we call a great return on investment. When you’re creating Father’s Day subject lines, don’t hesitate to try out many different things and see what works. 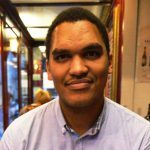 Not sure which subject line to pick? How about sending out two at the same time? 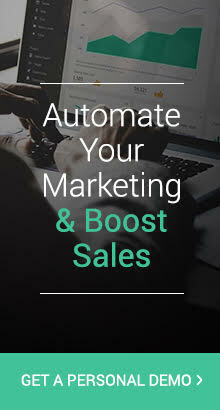 Omnisend allows online marketers to send emails with A/B testing with two different subject lines. A/B testing allows you to send out two subject lines or two different sender’s names to a small percentage of your recipients so you can see which one worked best. The one with the highest open rate then gets sent automatically to the rest of your recipients. Don’t Forget Dad! Free Shipping on Father’s Day Gifts! Father’s Day! Gifts For the Worlds Greatest Dad’s…. A gift for Dad and 20% off for you. Father’s day exclusive offer – Reward him with an exceptional gift! Daddy Cool – Shop Our Father’s Day Gift Guide! Affordable father’s day gifts for the modern dad. Take up to 60% off the best gift ever – we won’t tell Dad! Up to 60% Off 100s of Items + More Gift Picks forFather’s Day! Up to 20% off dad-approved Father’s Day gifts. Now through June 13. Celebrate Dad – Give Him Ghirardelli Chocolate and Save $10! 25% Off + Free Shipping for Dad Starts Now! Don’t Forget – Free Shipping For Dad! Free 2-day shipping in time for Father’s Day. Celebrate Father’s Day like a King! Go Ahead. Make Dad’s Day! Dadliest Catch: It’s our Dad Joke of the year! What are you getting Dad? You know it’s almost Father’s Day, right? Give Dad the Hottest New eReader: Kobo TOUCH Edition! Looking for more email subject line ideas? Yup, that was pretty exhaustive—but hopefully not too exhausting! Now you’ve pretty much got enough Father’s Day subject line ideas to keep you supplied for the next 250 years! If you’re looking for more ideas on subject lines for Independence Day, fall, spring, or whatever other occasion, get our FREE ebook by clicking here.